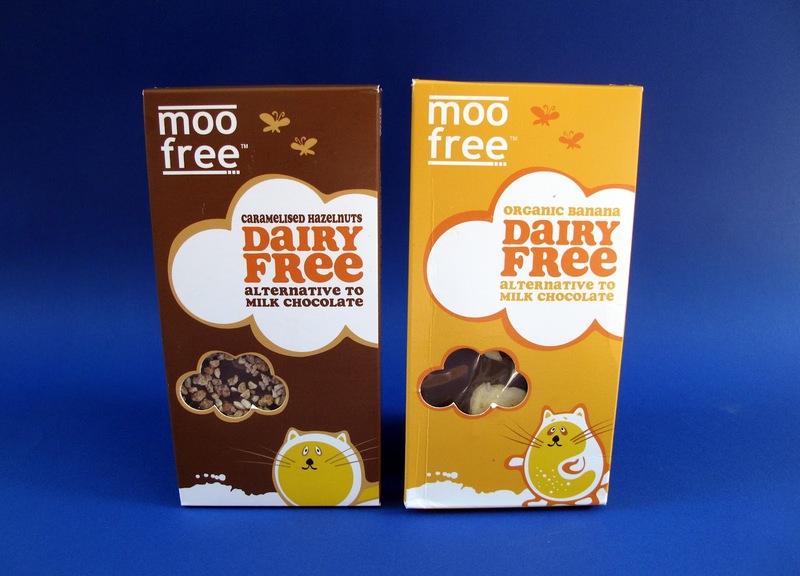 Always on the look out for yummy chocolate bars, on a recent visit to Vegan Essentials I noticed Moo Free had a couple that I hadn't tried yet. I tracked down the Caramelized Hazelnut and the Crunchy Banana Chip Bars. Right off the bat I'm loving the cute packaging with Clawdia Cat and Hammy Hamster (yes, I'm 6 years old). If you don't know, Moo Free is located in the UK and they are also responsible for the awesome Vegan Advent Calender. So let's crack open these bars and see what's really good! First off, I noticed that the milk chocolate tastes the same as the Advent Calendar, which I happen to enjoy but some people have told me that it's on the mild side. If you tend to like your chocolate richer, this might not be your bag. I happen to love it, it kinda of reminds me of Nestle Crunch chocolate. 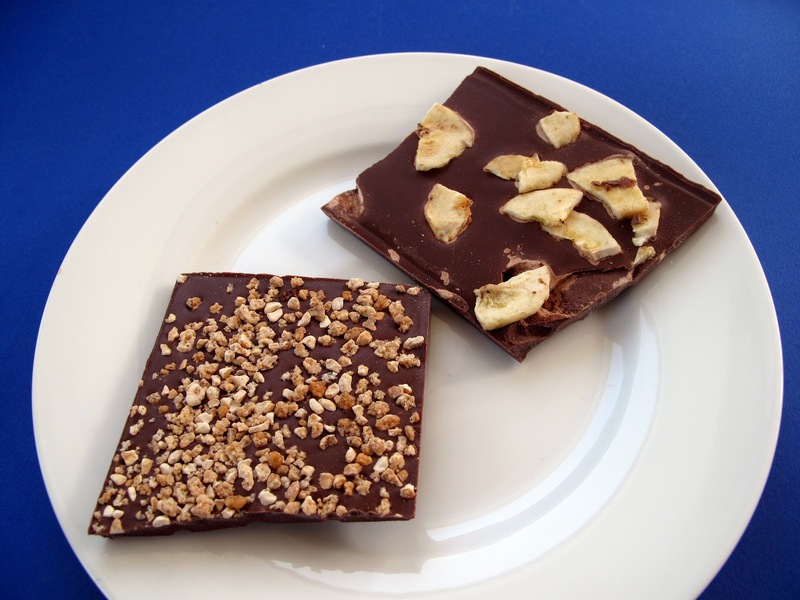 The hazelnut nibs and the banana chips are sprinkled on at the bottom of the bars instead of being mixed into the bar. I wish they were more integrated into the bar, but it's not a deal breaker for me. I will say the hazelnuts and bananas are nice and crunchy. These will be great if you want something different besides a plain ol' chocolate bar. So bottom line, if you already like Moo Free's Milk Chocolate, I think you're gonna love these!